Our hostess, manager and overlord Rachel Rouge is on tour with Tease and Trouble productions MCing the Tour of Tease in Christchurch, Blenheim and Nelson. She joins 4 ridiculously talented performers on the tour. 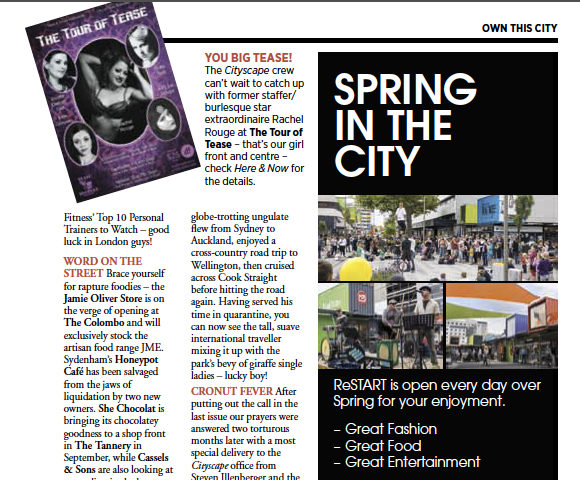 Christchurch’s Cityscape magazine were kind enough to give the tour a mention. We are back baby back! Two incredible shows this year: . Christchurch show at Isaac Theatre Royal, 22 June. https://premier.ticketek.co.nz/shows/show.aspx?sh=VARIETY19 Wellington show at the Wellington Opera House, 27 July Tickets on TicketMaster soon. @nzfringe programme has launched! @themenagerienz is proud to be a sponsor of this amazing and unique festival. We can’t wait till March. @themenagerienz team backstage at our last show of the year. We are adorable.